Private equity firm Blackstone has bought a 55% majority stake in Thomson Reuters’ financial and risk (F&R) business for around $17 billion. The F&R business is valued at approximately $20 billion. Thomson Reuters will receive about $17 billion in gross proceeds at closing (subject to purchase price adjustments) funded by $14 billion of debt and preferred equity to be incurred by the deal and a $3 billion cash equity contribution by Blackstone. Thomson Reuters will retain a 45% interest in the F&R business. It will also maintain full ownership of its legal, tax & accounting and the Reuters News businesses. Canada Pension Plan Investment Board (CPPIB) and GIC will invest alongside Blackstone for the transaction. According to Thomson Reuters, the businesses that will comprise the new F&R partnership had 2017 revenues of approximately $6 billion. Martin Brand, a senior managing director at Blackstone, praises the F&R division for its “data business, essential risk and compliance solutions, OTC trading venues, wealth management software, and a strong desktop business”. The new partnership will be managed by a ten-person board composed of five representatives from Blackstone and four from Thomson Reuters. The remaining one is the president and CEO of the new partnership, who will serve as a non-voting member of the board following the closing of the transaction. 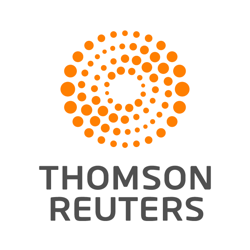 Thomson Reuters plans to use the estimated $17 billion of gross proceeds to pay off debt and taxes; and focus more on its legal and tax & accounting businesses. Blackstone has had an interest in fintech activities for a while. Recent deals include Paysafe Group in the UK and Fino Payments Bank in India. With Paysafe, Blackstone and CVC Capital Partners acquired it for £2.96 billion ($3.89 billion). In the Fino Payments Bank deal Blackstone was one of the bank’s backers – along with ICICI Group, Bharat Petroleum, International Finance Corporation (IFC), Corporation Bank, Union Bank of India, and Indian Bank.